A taste of some bright primary colours from the Landscapes range. Kit contains 6 x 20gms bright clear colours, instructions, colour chart and gloves. Enough to dye 1kg of fibre or yarn. 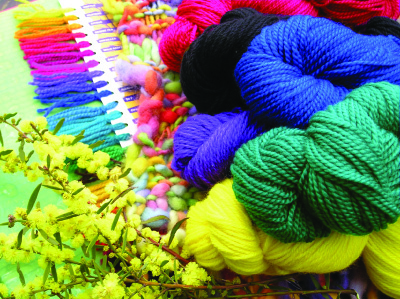 The colours in the kit are Wattle, Desert Pea, Marine, Fern, Wild Raspberry and Currawong.